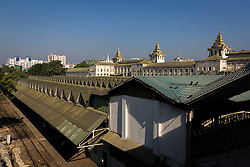 Yangon Central Railway Station in downtown Yangon is the largest railway station in Myanmar. 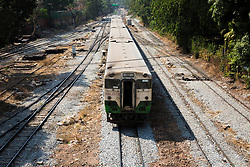 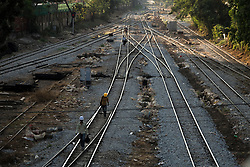 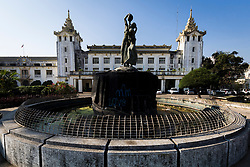 It is the gateway to Myanmar Railways' 3,126-mile (5,031 km) rail network[ whose reach covers Upper Myanmar (Naypyidaw, Mandalay, Shwebo), upcountry (Myitkyina), Shan hills (Taunggyi, Kalaw) and the Taninthayi coast (Mawlamyine, Ye). 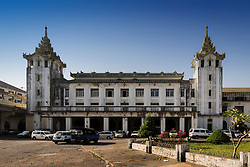 Yangon Central Railway Station has been designated a landmark building since 1996.